Like most industries, the transportation ecosystem does not rely on one single mode of transportation to deliver all its needs. 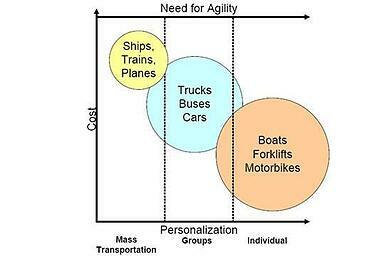 This diagram lays out a cost and need pictorial for the transportation industry. Business processes are like the transportation hierarchy. Highly specialized applications, need a true BPM system to optimize their organizational processes.